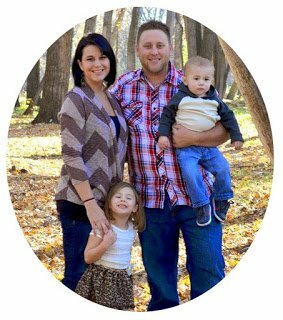 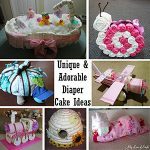 Do you know anyone who is having a baby soon? 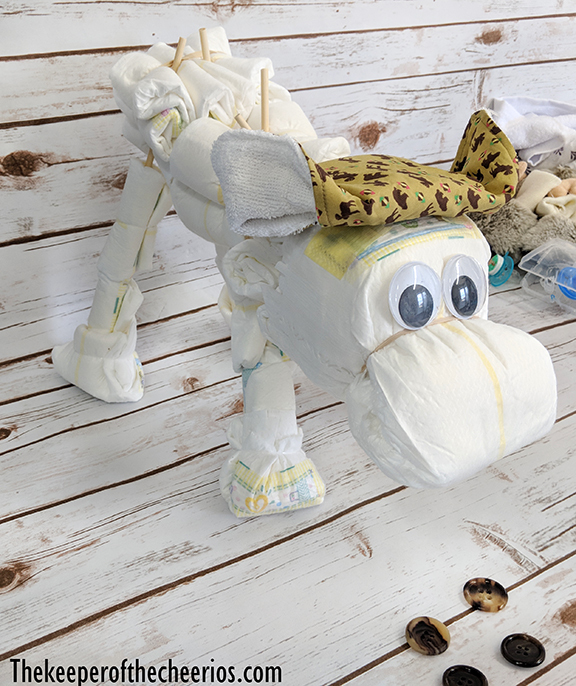 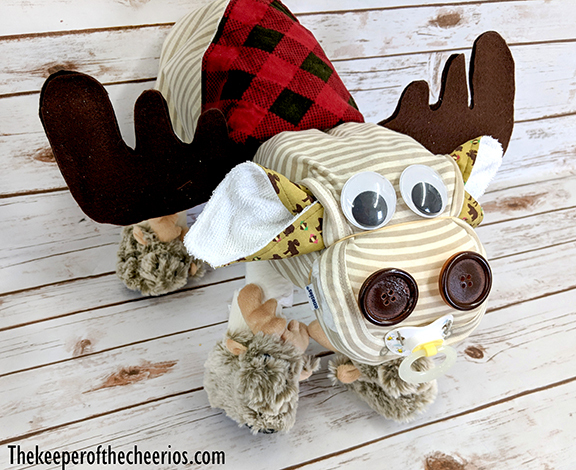 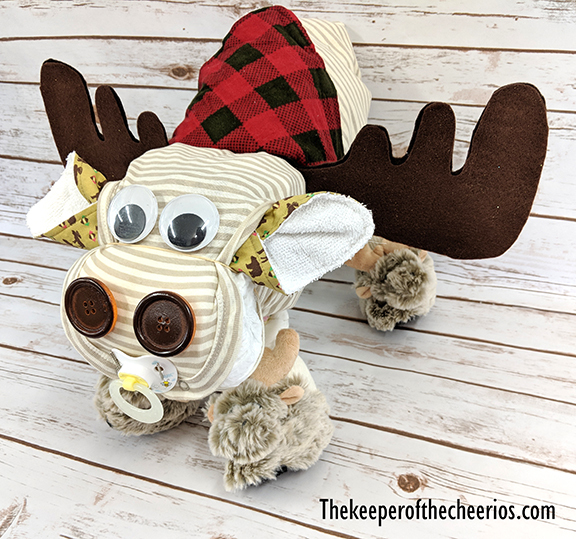 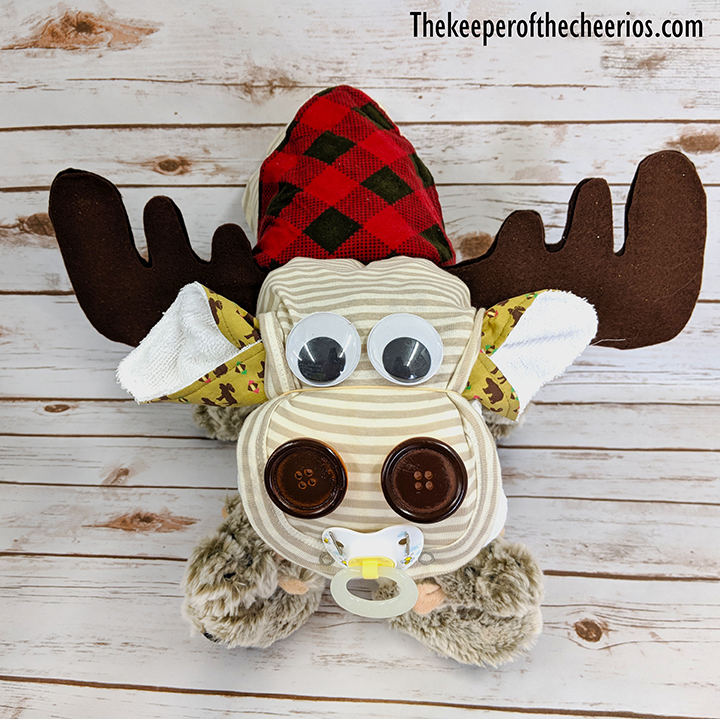 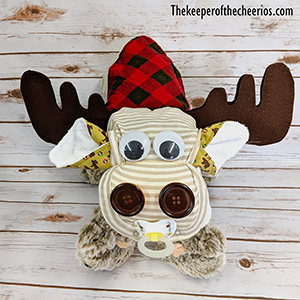 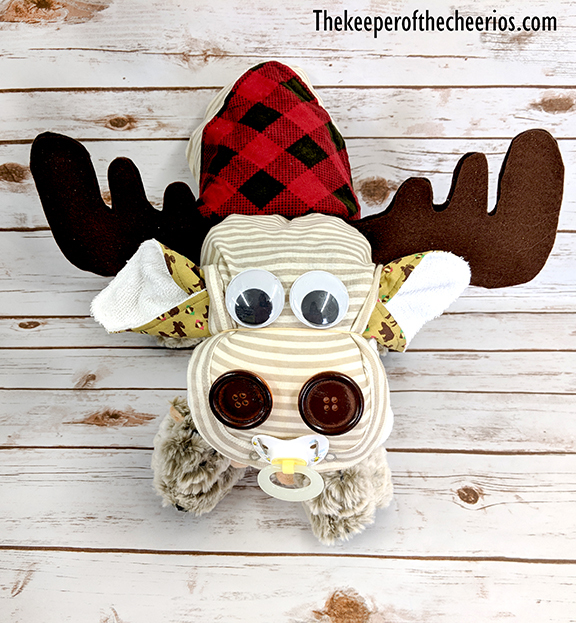 Well if they are into a moose them, hunting theme, or just an animal theme, they will just love this super fun Moose Diaper Cake. 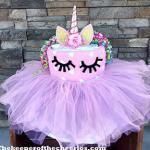 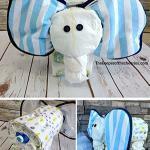 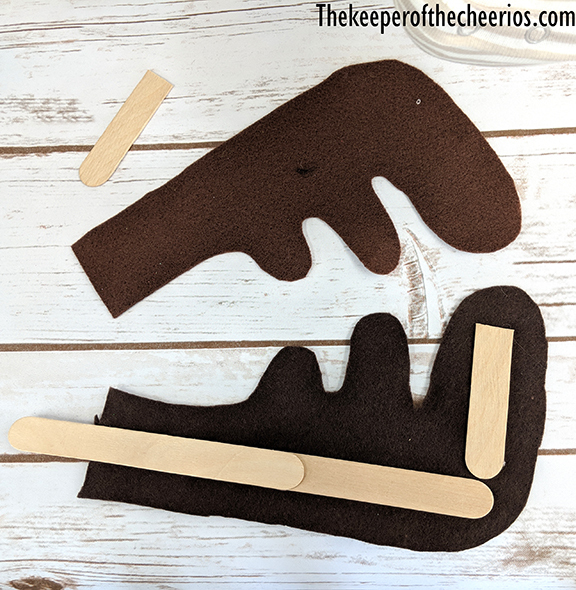 This little guy is so fun to make and looks adorable for any baby shower. 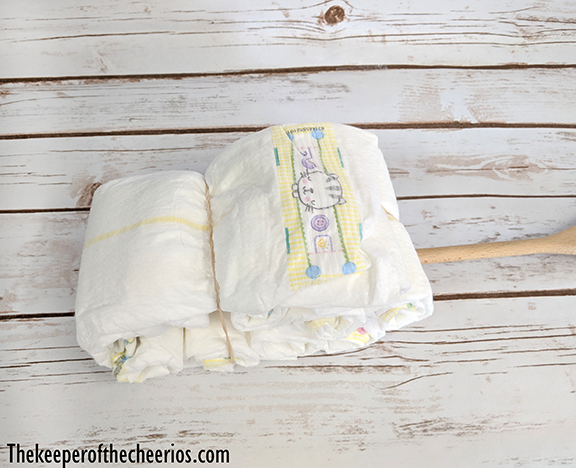 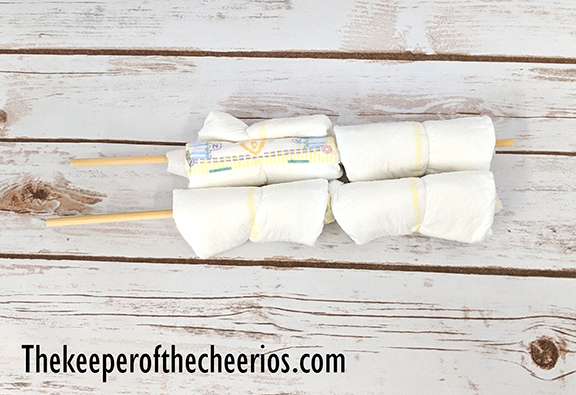 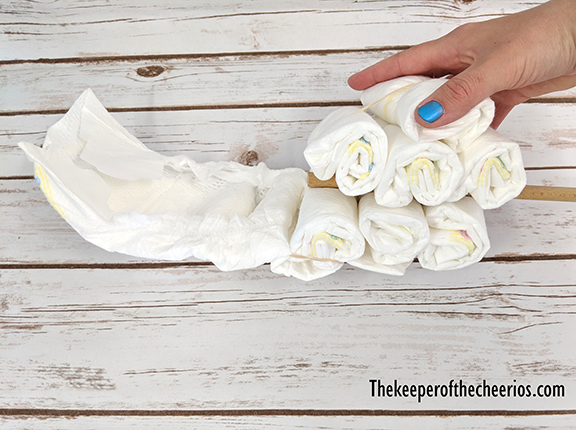 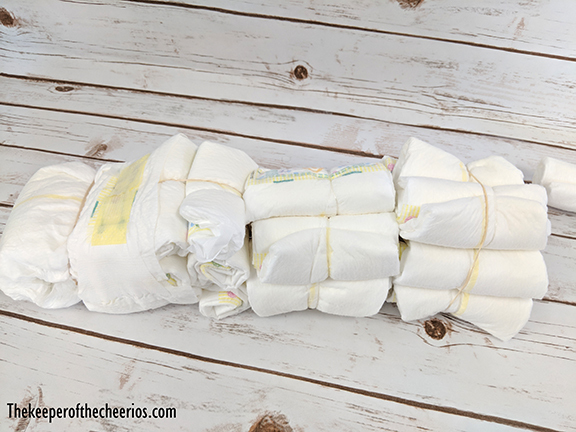 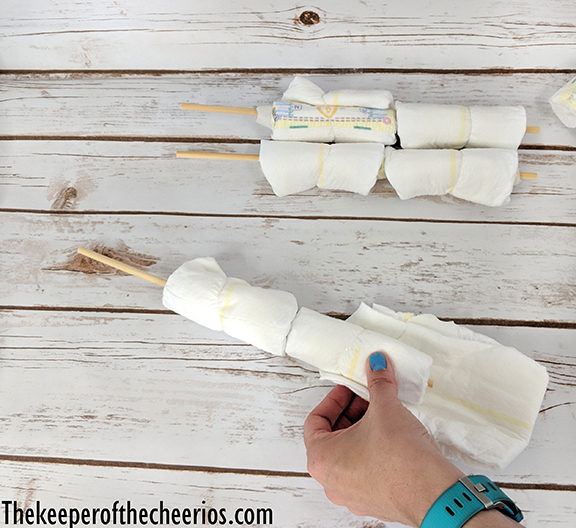 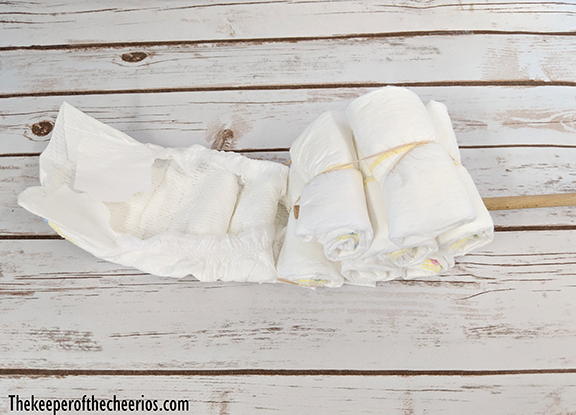 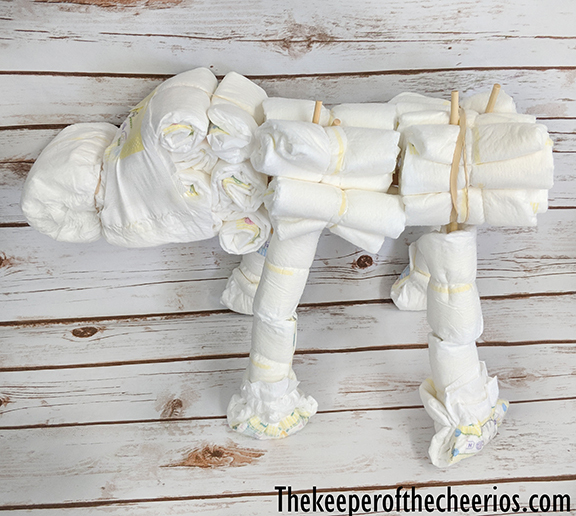 Roll several more diapers until you have about 12 rolls – make 2 more groups of 6 and band them.